Some WLS patients still feel like there is a missing element to their long term weight loss. Healing old psychological wounds can be key. Author of Full From Within, psychologist Dr. Colleen Long, explains just where to start. 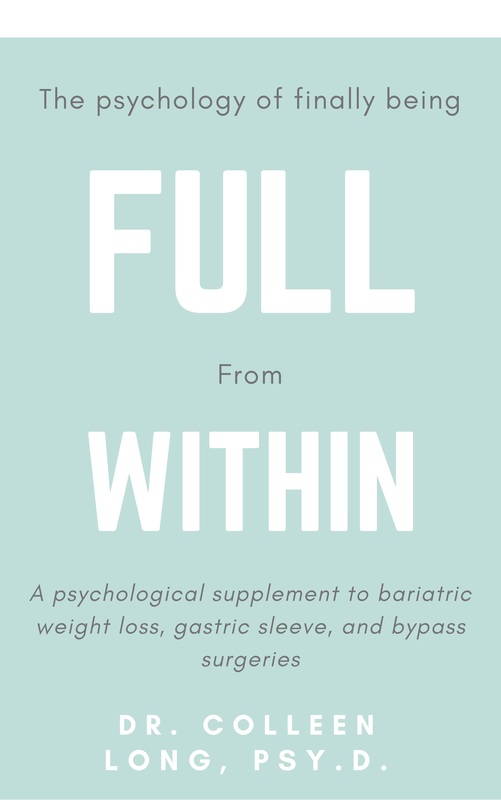 When I work with pre and post-op bariatric surgery patients, I consistently go over this idea of being "full from within." Many people question, "what does that mean for me? What does that look like?" My response is that for one to be truly full, we must first clear out the old toxicity, wounds, and hurtful schemas we've picked up throughout the years. How does one get over a hurt? There is not "getting over." You go through it. You have to feel it to heal it. If you have underwent gastric sleeve, bypass, or balloon surgery and still feel like there is a missing piece- it is likely that there are some deeper psychological toxicities that need to be cleared. The first step to doing so is sitting still, sitting with the feelings, and it is in stillness that our heart finally starts to answer the questions our mind has failed to thus far. While Whitaker recognized that in the short-term, these medications help people to feel better, he started to realize that over time- drugs make many patients sicker than they would have been if they had never been medicated. 1 He does not make the argument that all people should stop their meds. He believes in the utility of them, just more sparingly than they are currently utilized. However, throughout my years in the practice of therapy- I have noticed a trend of moving people away from feeling. Crying is actually a symptom in the DSM-V. We have pathologized a human feeling! When psychiatrists and therapists witness a patient tearful too many times in session, their next conclusion is that something must be wrong and they must be medicated. This frustrates me so much as a clinician and as a person who has done her share of work in her own personal therapy. When we are broken, we are broken open. Being broken is a starting point, not a symptom that something has gone awry. It is at the point of our deepest pain and grief that we have the greatest opportunity for growth. I find myself telling patients over and over- “you can’t “get over” it, you must “go through” it.” Yet, so many of us have been indoctrinated to think that if we spend more than a day being sad, we must have depression, or if we feel nervous a little bit longer than we’d like to- we must have an anxiety disorder. We definitely “are Bipolar” if we have a mood swing. We have been taught to not feel the yin, only the yang of our emotions. It’s societally acceptable to talk about how happy your weekend was, or how much fun you had on vacation- but watch the uncomfortable shifting in chairs that takes place when you open up about how you just haven’t felt like yourself lately. 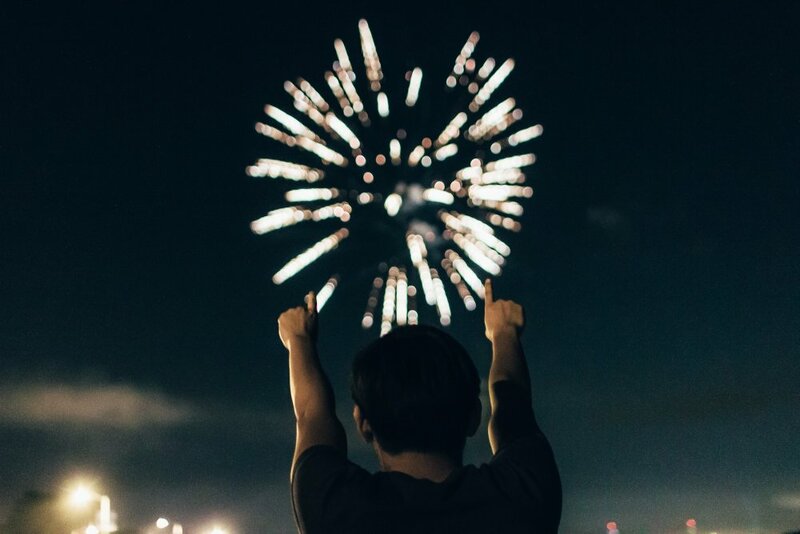 In our world of quick fixes, where we can have a conference across the world, over a computer, communicate a message in two seconds via text, or post a picture that all of our family can see instantly- we also want instant relief for our suffering. Yet, suffering is part of the human condition. It is through experiencing our deepest sorrows, we are able to appreciate our greatest joys. But we must first be willing to sit in the muck. Part and parcel of any addiction (food, drugs, alcohol, etc.) is that the addict is particularly uncomfortable with being uncomfortable. However, the cure is right there for the taking. “So what does this look like in real life?” you ask. “How do I open the wound, bring in the light, and clear out the infection that started all of this in the first place?” You start with presence. You start with a still and open heart. You start with a spiritual vulnerability that allows you to be at peace with not knowing what will happen next. You sit broken open and wait for the light to enter over time. The most important piece in all of this is being able to create a consistent forum where you hold the space. This could be a therapist’s office, it could be a weekly walk with a friend, a journal practice, or it could be as simple as a prayer every night. You set the priority to hold the space and to sit in the muck. Maybe it starts with emotions that have no words? Maybe it starts with visceral, physical feelings, that you have to simply sit with for a while? Maybe you are lucky enough to immediately put in words where your wound all started and its just floating around in your thoughts, waiting to be articulated? Perhaps it starts with a behavior you tend to do all of the time that you know comes from a place of pain? I had a client who continuously posted on social media sites. She had a constant need to feel recognized and admired. She knew there was something behind it and wanted to get to the bottom of where this was coming from. Session over session, we sat with that need. We talked about what she wanted to get from each of those posts and why she was still “on E,” left with an empty psychological tank. Growing up, this client never quite got the love and admiration we all need from our parents. When we love something so much and don’t get that back- it is that unrequited love that leaves a narcissistic wound. It doesn’t necessarily always start with parents. It can be a formative romantic relationship, but it usually starts with parents. When we are flying from couch to couch saying “look at me mommy I’m superman!” and our mom says “get off that couch now!” instead of “look at how strong and powerful you are,” we begin forming the wound. Unfortunately, without recognizing this- many people will go throughout their life trying to heal it through other people or other things instead of within themselves. (recall the wizard of oz’s moral of the story). It was up to this client to stop the instinctual need to post and each time she had this inclination to look within for what she needed. Eventually, she developed a muscle for self validation, and the posting behavior stopped. The lesson in this case study is to hopefully help guide you to your wound. If we have a food addiction and feel out of control, you can bet we have a wound. Instead of distracting through bad habits, addictions, unhealthy relationships, or external wants- it is time to finally create a place of presence to start the healing process. 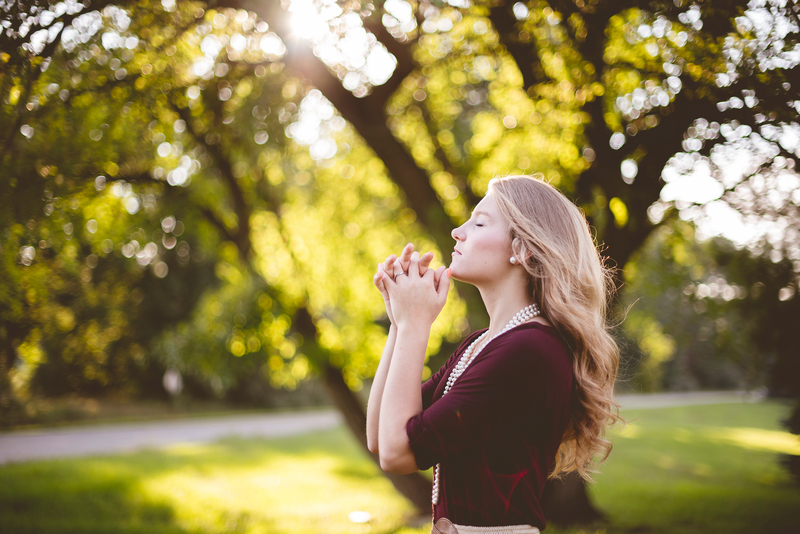 Mind Meal: Sit in silence for at least 15 minutes. Visualize in your mind’s eye your heart with a bridge of white light to your head. What does it say? Where is the pain? Where is the wound? How might you start filling yourself up for good? Want to learn more about how to be truly full from within. Check out Dr. Colleen's latest book aimed at helping one focus on why they eat vs. what they eat, and stop the "diet yo-yo" for good. You can also sign up for her free course : Full From Within, here. Yep: I once told my physician that I was upset/depressed about something (don't even remember what now), and she suggested anti-depressants. I responded, no, it's normal to be upset about this, but I'll get over it. And I did. Good article. The only thing that makes me think twice is the example of a child flying from couch to couch and being told to 'get off that couch now!' - instead of 'look at how strong and powerful you are' and how saying the first thing automatically starts a wound in a child. I disagree with that. I wasn't allowed to jump on the furniture. But I was allowed to have a cape on and go through the house acting like a superhero if I wanted to. And a parent can say both things while at the same time teaching their child that jumping on furniture is not accepted, and how big and strong he or she is. I certainly don't think that allowing a child to jump on furniture is going to keep them from forming a wound - emotional, physical, or otherwise. As a parent myself, I don't allow children to jump on my furniture. That certainly doesn't cause wounds in children. Maybe a better example would be a child skinning their knee, and a parent saying 'don't cry! Crying is for babies,' versus a parent saying 'let me take a look at it. It's ok. We'll fix it.' Or something to that effect.